Sneakerheads, this one is for you. Whether you’re a collector who enjoys the thrill of the hunt, a fashionista who prefers her sneaks to her heels, an athletic chick, a self-confessed sneakerhead , or simply a laid-back lady who likes her lace-up beauties, we guarantee you are in for a treat. 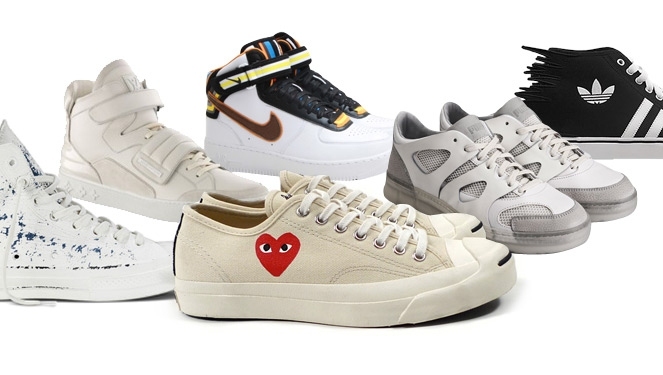 No one can deny the phenomenon that is the evolution of the sneakers, more so the handful of designer collaborations; so don’t be shy, admit it, you're obsessed. With the string of high fashion collabs making their respective marks in history, we picked out our favorites that you can take from the gym to the front row. Desirable? More like remarkable. Scroll down to see our picks. Nike has done plenty of collaborations over the years but rarely with fashion designers. 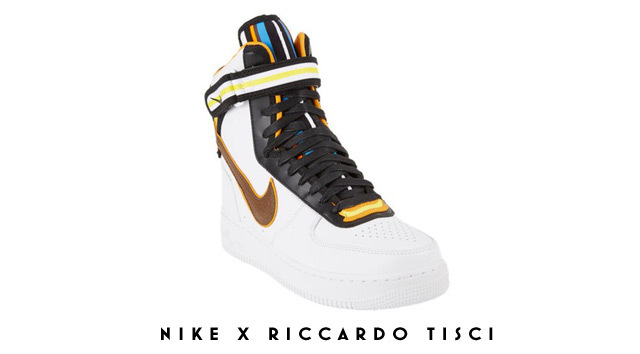 This year Givenchy’s creative director Ricardo Tisci has teamed up with the favorite sportswear brand to redesign the iconic Air Force 1. What else is new? The Nike X Pigalle collab, that's what. The Air Force 1(photo above) was released this April and we were instantly charmed by its beauty that will age nicely over time. The partnership is now followed by Pigalle' s monochromatic take on the Nike Air Raid. 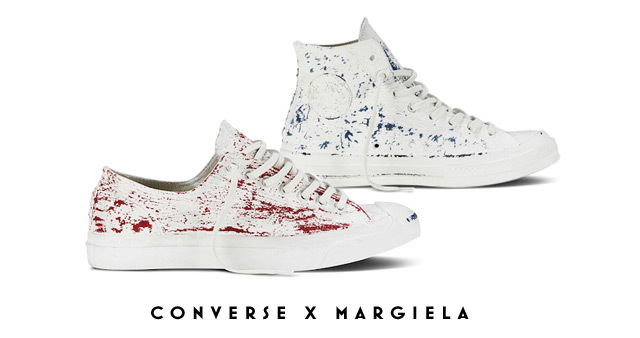 Belgian fashion house Maison Martin Margiela’s unconventional cracking white paint version of the Chuck Taylors and Jack Purcells have been flying off the shelves since its debut in 2013. Converse X Play by Comme des Garcons- How can anyone pass up those adorable CDG hearts? From editors to models, to celebrities, here’s a list of the ones we caught wearing the cool pair. 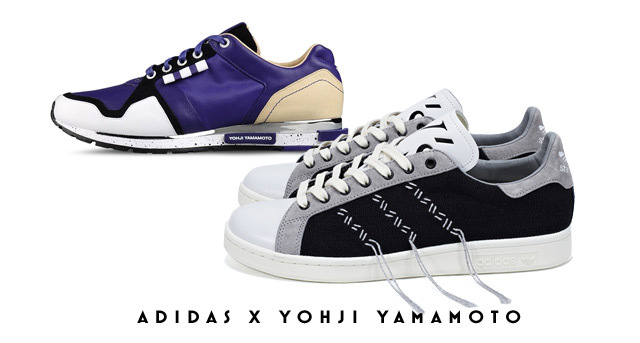 First launched in 2003, the Y-3 line of adidas in collaboration with designer Yohji Yamamoto has been something sneakerheads have been looking forward to annually. Our favorite? His interpretation of the iconic Stan Smith that features a hand-stitched zig-zag embroidery to replace the original perforated 3-stipes with the threads overhanging at the midsole. From gym wear to footwear, designer Stella McCartney has been working with adidas since 2005 to supply us with chic work(out) wear you can take to the streets. 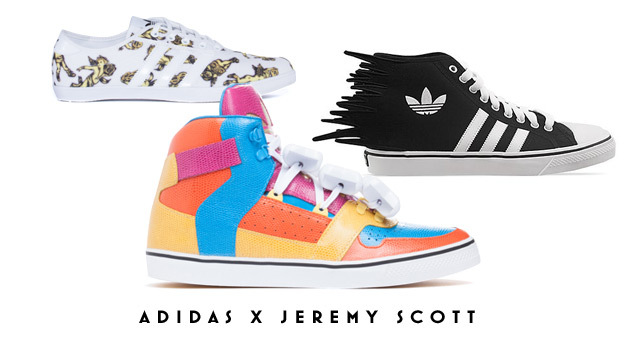 Meant for the gutsy fashionista, these quirky and attention-calling footwear of the Jeremy Scott X adidas collaboration is perfect for those who stay away from conformity. No two pairs of these babies are alike. Each statement-making piece is made from out of this world inspirations (like astronauts) exaggeratedly interpreted for the confident fashionistas. 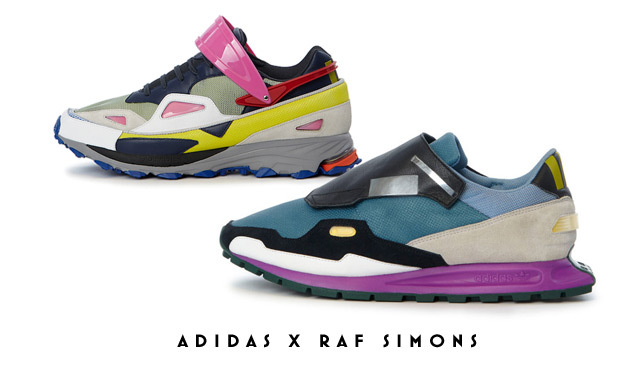 With Belgian fashion designer Raf Simons, it’s either you keep things simple or go over the top, there are no in-betweens. 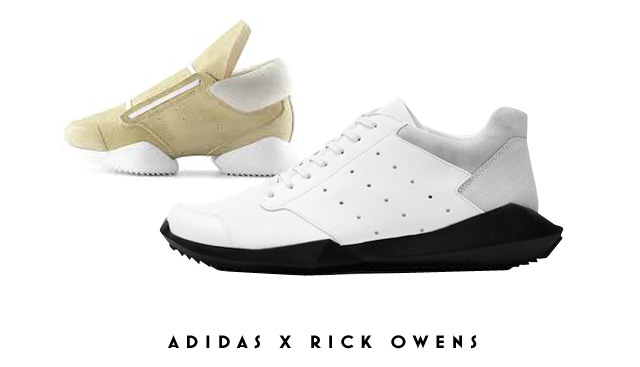 Not for the faint-hearted, either you love or hate these Rick Owens. It's all up to you. 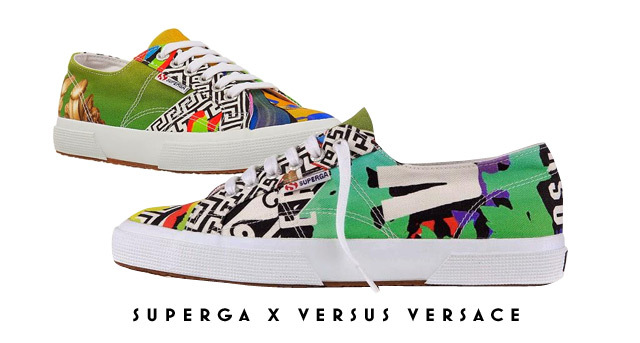 We knew it was only a matter of time before Italian brands Superga and Versace finally combined their creative aesthetics to create one special line. This Fall 2014, enjoy the artsy collection decorated in a pattern made famous by Versus' fall collection, the Greek key, and splashes of bright colors. 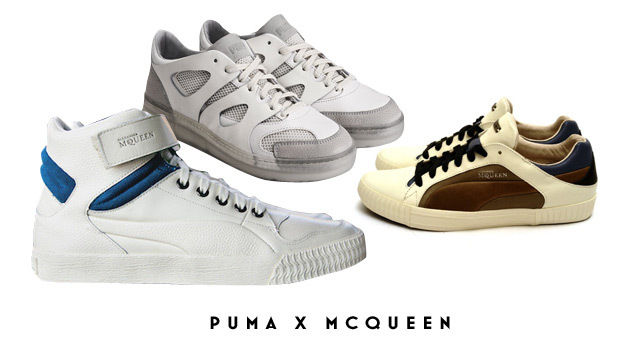 Making way to create some sort of convergence between streetwear and the high streets, the Puma X Alexander McQueen line we loved in 2009 is back via the McQ Move Lo. The shoe features leather cutouts overlaid on top of an oversized mesh upper, a new take on Puma's classic silhouettes. If Marc Jacobs wants to collaborate with a shoe brand, he will, and it will be awesome. Back in 2005 and 2006, designer Marc Jacobs gave footwear collab a shot and came up with a patent leather Sk8 His and Old Skools that both skaters and A-listers alike just had to get their hands on. 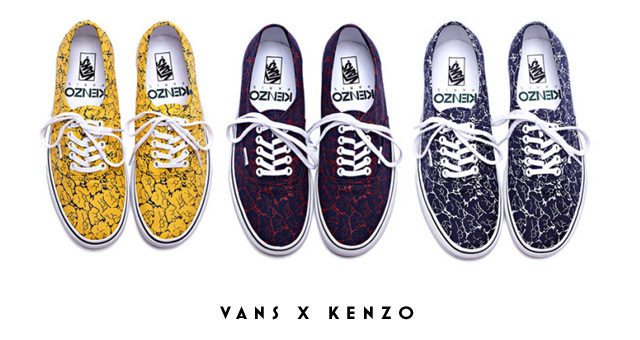 Prints are directly proportional to Kenzo. So when this collaboration was launched in time for Spring/Summer 2013, we went on a crazy shoe frenzy. 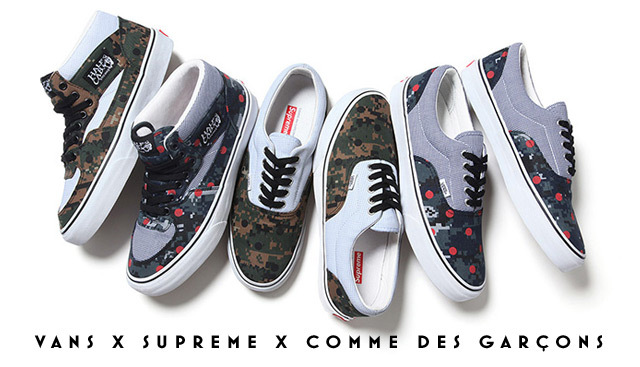 Before we went gaga for the current Star Wars collab available in stores now, the triple threat mashup of Vans, Supreme, and CDG was all we could think about. Some of these are no longer available, but a true sneakerhead, we're sure of it, will find ways to get their hands on a pair they want, no matter what it takes. Which collab is your favorite? Write in the comment box below.